Our August 12th meeting features Tom Phillips and Michael Poppa who are both passionate about suicide prevention outreach, mental health awareness and LGBT equal rights. Michael Poppa is a member of the governing body for the City of Roeland Park, and has served as council president since February 2018. He was elected in 2015 following a hard-won campaign in which the fight for civil rights took center stage. At that time, he became the third openly LGBT elected official in Kansas and the first in northeast Johnson County. 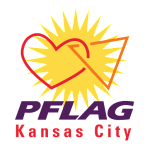 Previously Michael served as the local chapter chair for Equality Kansas, where he helped to introduce and pass an LGBT inclusive nondiscrimination ordinance. In addition to equal rights advocacy, Michael is passionate about mental health awareness and suicide prevention outreach. He currently serves on the board of directors of Suicide Awareness Survivor Support (SASS-MoKan) with his husband, Tom Phillips, who lost his brother to suicide in 2011. Tom Phillips is a local professional and vice president of the board of directors for Suicide Awareness Survivor Support (SASS-MoKan). Tom began his journey of grief support and mental health advocacy after losing his older brother to suicide on January 9, 2011. Struggling to cope in the tragic aftermath he contacted SASS-MoKan Founders, Bonnie and Mickey Swade, and began attending the grief support group at the Shawnee Mission Medical Center Campus. Through the group, he was able to identify his “new normal” and began volunteering with SASS-MoKan and other local service organizations. Realizing that no one gets through suicide grief alone, he felt compelled to obtain his certification as a bereavement support group facilitator through the American Foundation of Suicide Prevention (AFSP) and subsequently began a new peer-led suicide survivor support group serving the Kansas City midtown/downtown areas called Through This Together. PLEASE JOIN US SUNDAY AT 3:00!